The Sabal Trail Project is a proposed 515-mile (830km) long natural gas transmission pipeline by Sabal Trail Transmission, a joint venture of Spectra Energy (59.5%), NextEra Energy (33%) and Duke Energy (7.5%), in the south-east region of the US. The pipeline will run from central and northern Florida into Georgia and Alabama. "The construction of the underground pipeline is expected to start in mid-2016, following the grant of all regulatory approvals, and the operations are anticipated to begin by May 2017." The project is estimated to require an investment of approximately $3bn. The construction of the underground pipeline is expected to start in mid-2016, following the grant of all regulatory approvals, and the operations are anticipated to begin by May 2017. The project is being developed to meet the expected future gas demand in Florida, which currently relies primarily on the Gulfstream Natural Gas System and the Florida Gas Transmission (FGT) system. It will primarily serve the power generation needs of Florida Power and Light (FPL) and Duke Energy Florida (DEF), who have contracted to purchase pipeline capacity from the project for an initial 25-year period. The new natural gas transmission pipeline is expected to generate 5,667 construction jobs and 527 permanent jobs when it starts operations. The natural gas for the new pipeline will be sourced from the capacity created by Transcontinental Gas Pipe Line Company’s (Transco) proposed Hillabee Expansion Project, which extends between Transco’s Compressor Station 85 in Choctaw County and the originating point of the Sabal Trail in Tallapoosa County, Alabama. The project will have an initial designed capacity of approximately 830,000 dekatherms a day (Dth/day), which would be increased, based on the demand, to approximately 999,000Dth/day by 2020 and 1.075 million Dth/day by 2021. The Sabal Trail gas transmission pipeline will stretch from Tallapoosa County in Alabama to the proposed Central Florida Hub in Osceola County, Florida. The latter will serve as the interconnection point for the new pipeline, the two existing pipelines in Florida and the proposed Florida Southeast Connection Pipeline Project of Florida Southeast Connection. Comprised three sections, the new pipeline will be 86.5-mile (140km) long in Alabama, 161.7-mile (260km) long in Georgia and 266.8-mile (430km) long in Florida. The first section will involve the construction of 474.4-mile (764km) long and 36in-diameter pipeline known as the Mainline Route, stretching from Tallapoosa County to the Central Florida Hub. The second section is the 13.1-mile (21km) long and 36in-diameter pipeline, known as the Hunters Creek Line. It will originate from the project’s proposed Reunion Compressor Station at Osceola County and provide a bidirectional interconnection with the FGT. Located in Marion and Citrus Counties, the third section is the 21.4-mile (34.4km) long and 24in-diameter Citrus County Line, which will connect DEF’s proposed power plant in Citrus County, Florida. The project will involve the construction of five new compressor stations, namely Alexander City, Hildreth, Reunion, Dunnellon and Albany, along the Mainline Route. The first three stations are expected to be operational in 2017, whereas the latter two are expected to be operational in 2020. Four metering and regulating (M&R) stations are proposed for the Mainline Route, whereas the remaining two sections will feature one M&R station each. The project will also involve the installation of 33 mainline valves (MLVs) along the Mainline Route and three MLVs each on the other two sections. Five pig launcher and five pig receiver facilities will also be installed along the pipeline route. 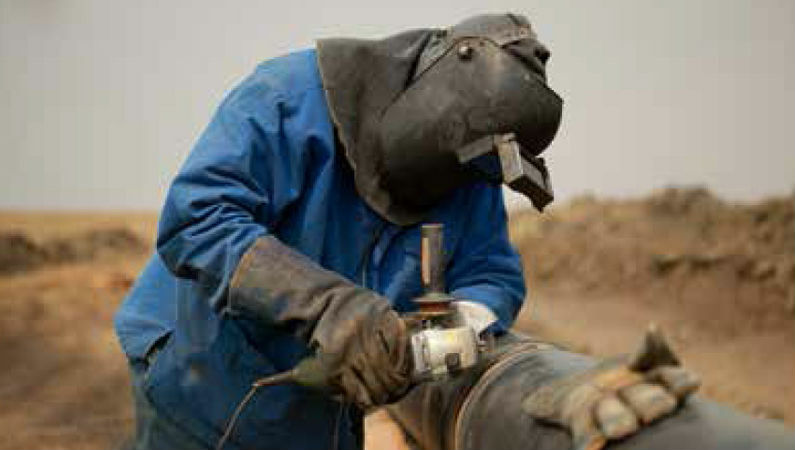 State-of-the-art welding, non-destructive inspection, epoxy coating, hydrostatic testing, clean up and restoration techniques will be employed in the pipeline construction. The pipeline will be inspected at each weld point and radiographs or ultrasonic images or X-ray will be used to check the integrity of each weld. It will also be externally coated after the radiographic inspection, in order to protect against corrosion. Berg Steel Pipe has been contracted to manufacture and supply the steel pipes for the Sabal Trail project. The economic benefits study for the project was performed by Fishkind & Associates (Fishkind). 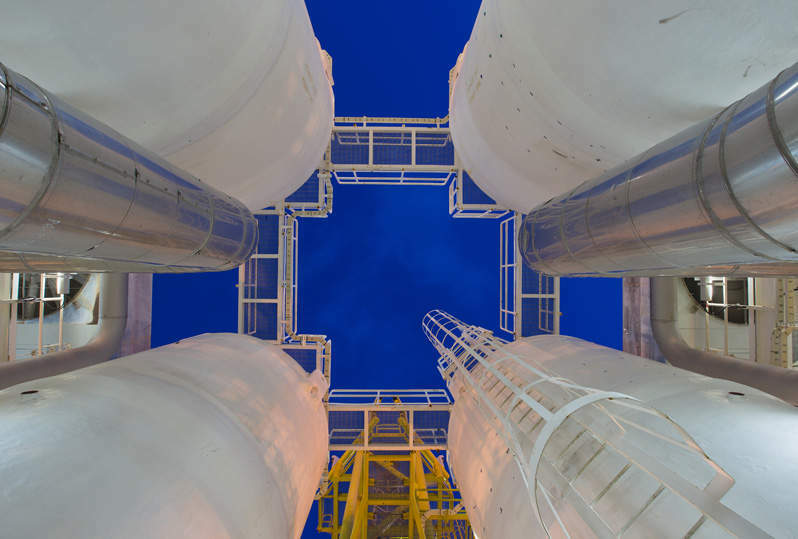 Total Safety provides integrated industry safety services, equipment, and strategies to protect against dangerous and hazardous situations to the oil and gas industry.